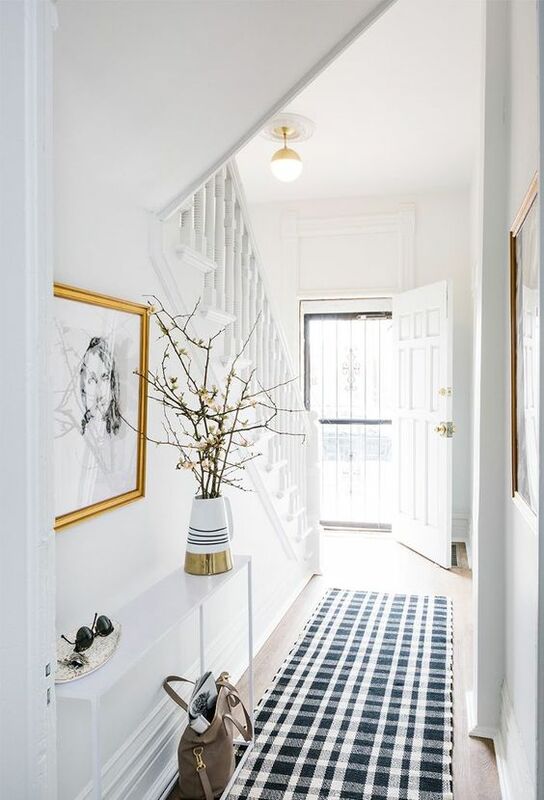 We may not spend a whole lot of time in them but the hallway is our chance to give a great first impression. Here are some of our favourites from around the globe, full of ideas we're definitely going to steal. 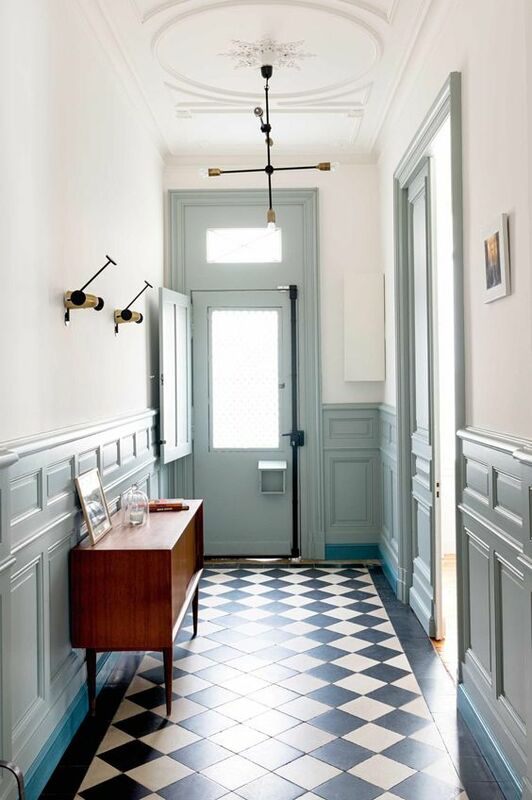 The floor, walls and ceiling are the real stars of this entrance. 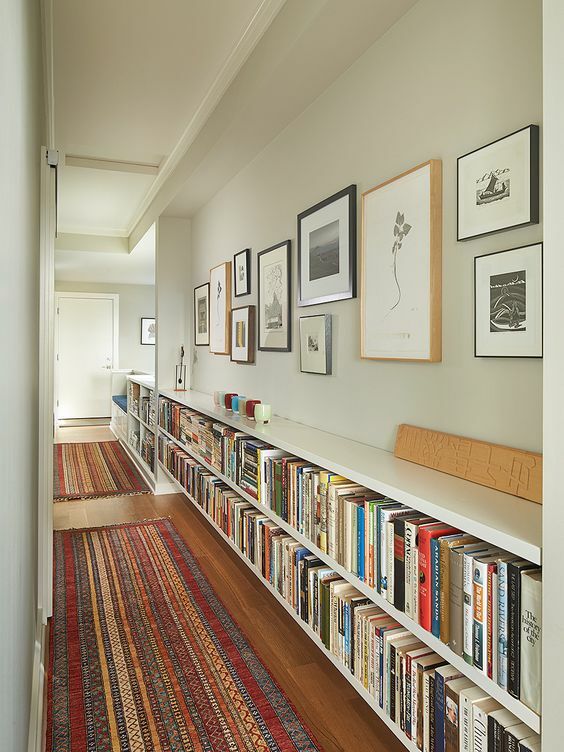 For a narrow space, like this one, one piece of furniture is all you need. 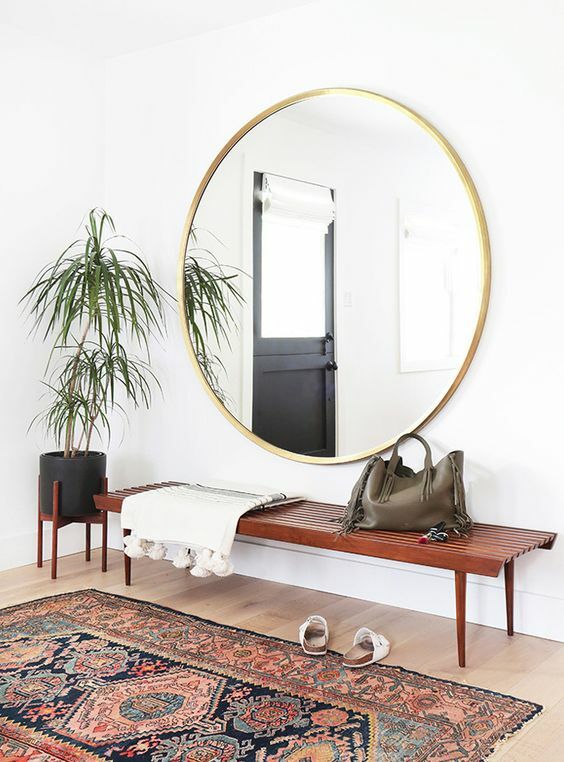 Save your precious floor space and let your light fixtures and detailing do the talking. 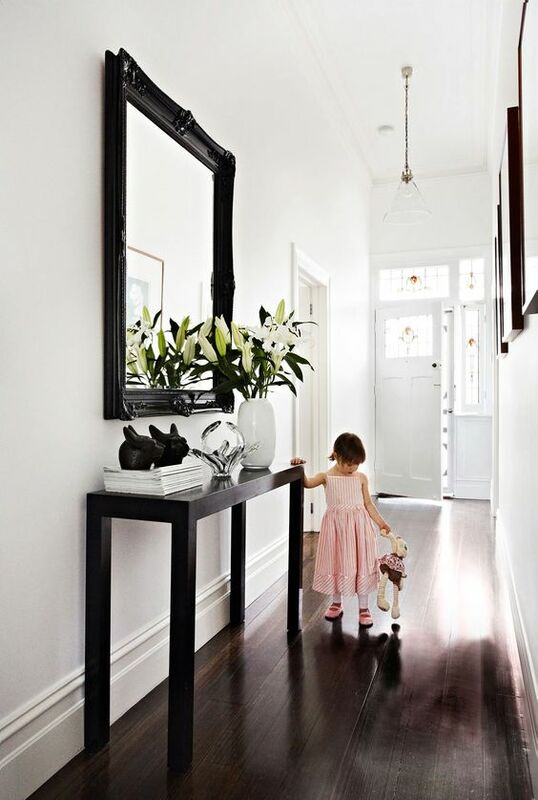 Mirrors win again as this floor to ceiling one really make you think this hallway is double the size. 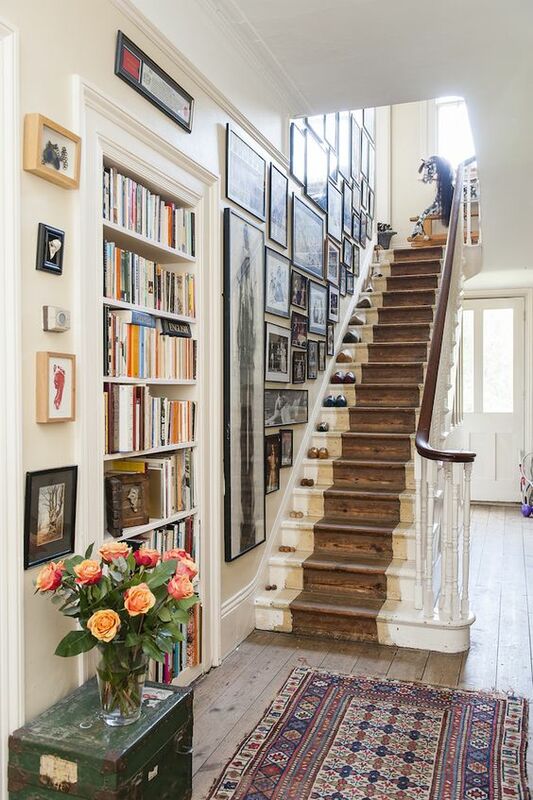 If you have a whole repertoire of brilliant books and an art collection to boot – throw any modesty out the window and show it all off. It might require a degree of well-thought-out positioning but if something like this is the result, then it'll be time well-spent. Whether it's black and white, yellow and teal or pink and green, see how much of an impact you can make when you team up two complementary hues. This is a real Abigail Ahern style that will always look great in our book. Mustards and rich jewel tones are big colour trends this year and when they're set against a dark backdrop, it can look mature and sophisticated. 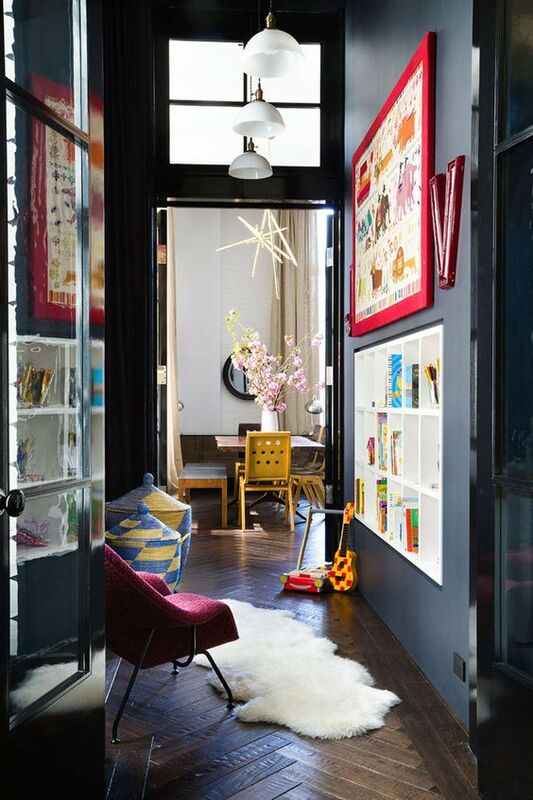 We especially love how this is achieved, below, despite the addition of kids' toys, books and posters.  The fixtures and fittings couldn't be any simpler. 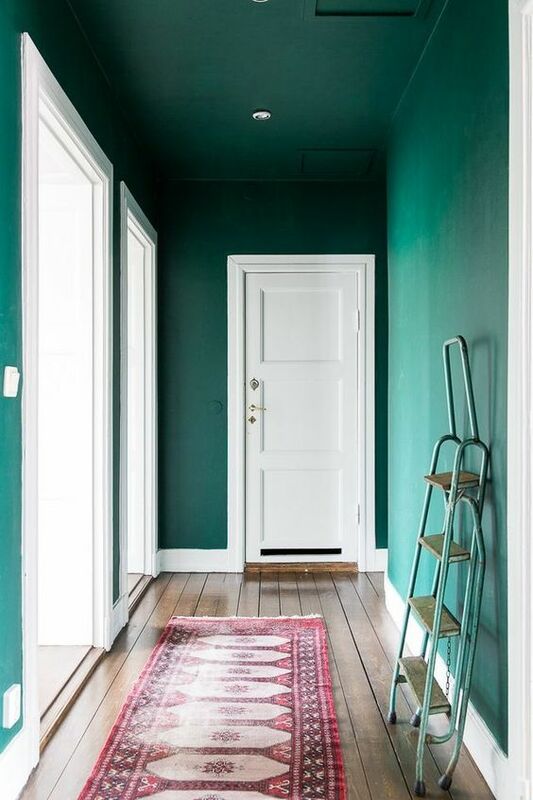 A rug warms up the space but the walls and ceiling painted in the same shade of green creates infinity and a sense of grandeur.